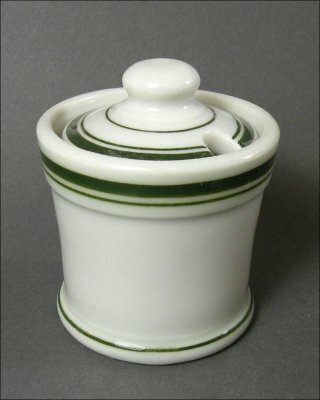 This beautiful, diminuitive, green-lined mustard is in excellent condition with a bright and shiny glaze. 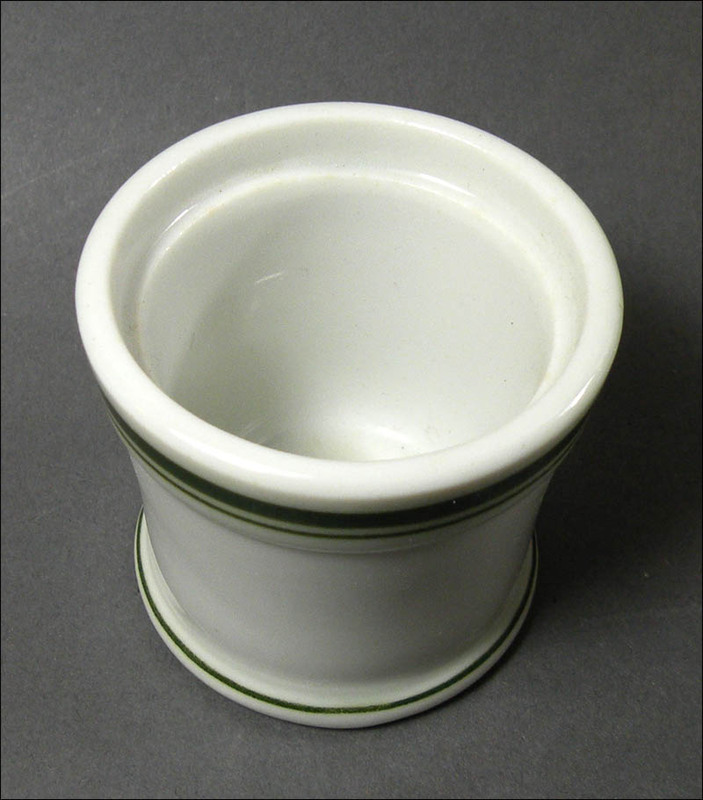 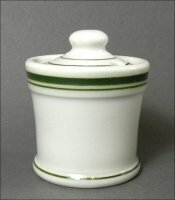 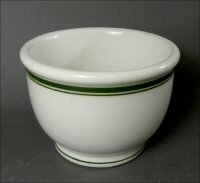 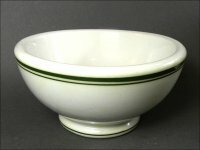 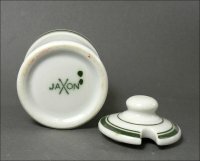 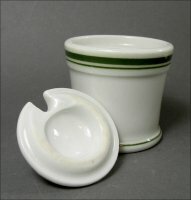 It stands 2 1/2 inches high, including the lid, by 2 1/2 inches across. I've often seen this small size described as a horseradish, but the early Jackson China catalog simply includes it among the mustards.